In a significant development the US Congress has allowed to drop the $2000 H-1B visa fee that is often termed as outsourcing fee. 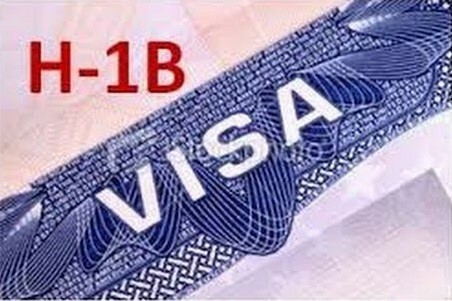 The visa fee was intended to discourage outsourcing by companies that rely on H-1B visas to replace U.S. workers. The development has a direct bearing on the Indian IT offshore industry as many Indian IT firms were forced to pay this outsourcing fee. H-1B critics have reacted to this news with incredulity. What was the legislation with regard to the outsourcing fee? The legislation regarding the $2,000 fee on H-1B visas was applicable to companies with more than 50 per cent of its employees oversees. The legislation was adopted by the US Congress in August, 2010. It contained provision to hike H-1B and L-1 visa fee per application by $2,000 and $2,250 respectively for the qualifying firms. The duration of the law was extended from four to five years under James Zadroga 911 Health and Compensation Act of 2010. It expired on 1st October, 2015 and the US Congress did not take any effort to extend the law. The outsourcing fee was originally used to fund the cost of Mexican border security in 2010. Later it was used to provide medical compensation for the fire-fighters and other ‘First Responders’ who helped out in the aftermath of the 911 attack. As per the reports of an Indian industry trade group, the US raises between $70 million and $80 million annually through the implementation of this law. How does it impact the Indian IT industry? The outsourcing fee levied on highly-qualified IT professionals coming to the US on H-1B visa has been often described as ‘discriminatory’ by Indian offshore firms. The Indian firms are the heaviest users of the visas and so, they have been the main target of this legislation. In the last five years Indian IT companies had to pay millions of dollars to the US in compliance of this legislation. According to Nasscom, the IT industry trade group of India, the outsourcing fee is unjustified as it specifically targeted the Indian companies. In a recent interview Nasscom president R Chandrashekhar described the fee as unjustified as it had no purpose to serve in the IT industry. He stated that it was applied in an inequitable way, which specifically targeted Indian companies. He further added that he would welcome any effort taken to eliminate the fee. Chandrashekhar believes that the Indian IT industry is a major contributor to the US economy in several ways, but these are not understood or fully appreciated by the US. As per Nasscom’s report released last month, the Indian tech industry had contributed more than $375 million to the US Treasury over the last five years and this amount helped the US to secure its borders.